The other day I had a few fresh picked Blackberries sitting on the counter while I was making waffles for the boys for our tea break and my little one asked what would happen if we put them in the waffle maker. So here we went and created our new favourite tea break treat! 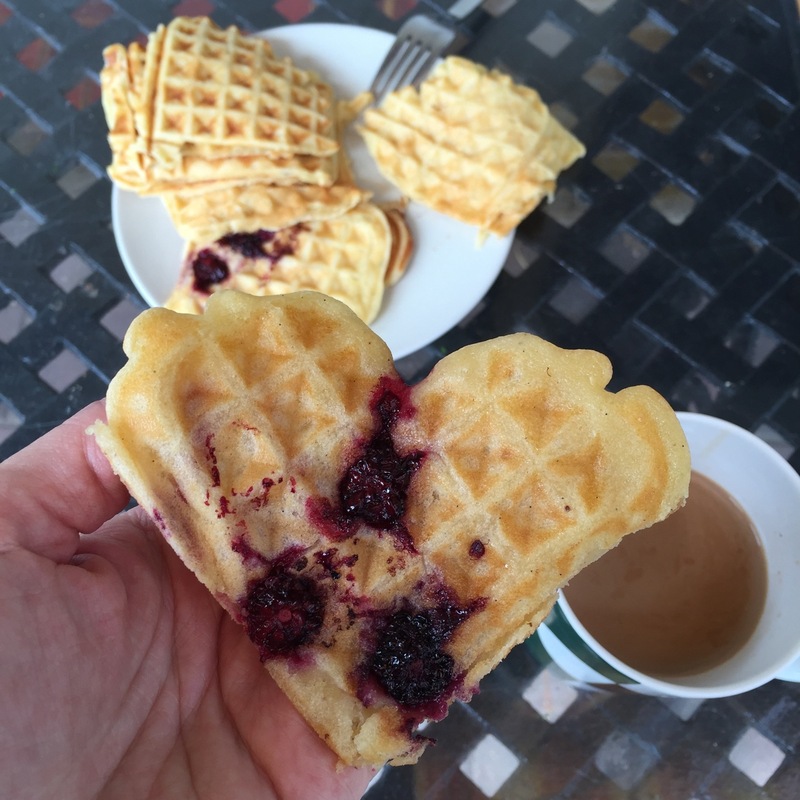 Go make your favourite Waffle dough and put a hand full of Blackberries in the waffle iron with every waffle you make. 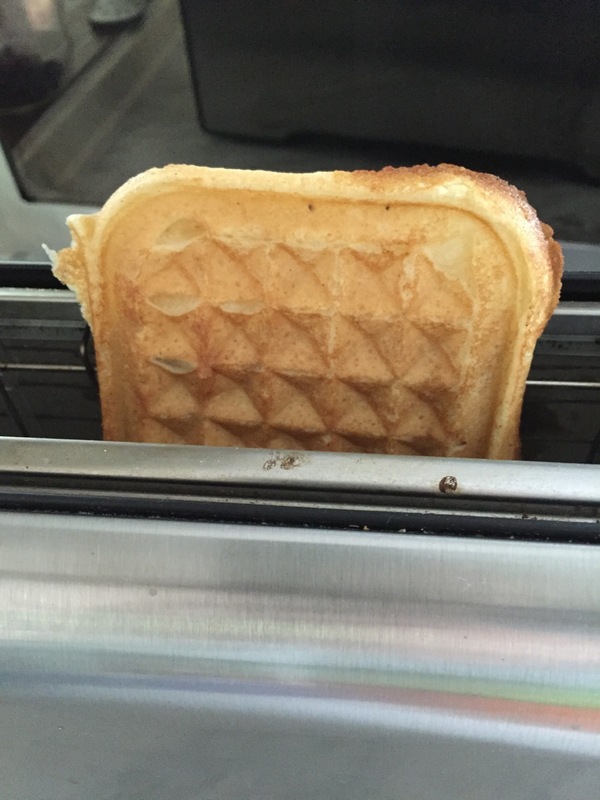 Need a new favourite Waffle recipe? Mine is added below! 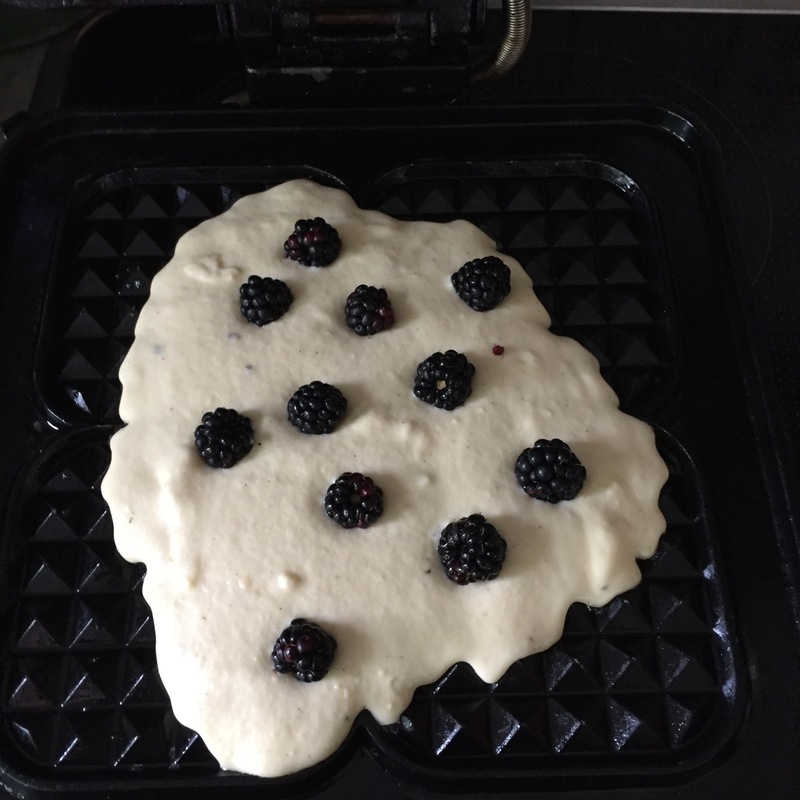 Mix all together, mix until well mixed, pur into waffle maker and add blackberries (or any other fruit) if desired. BTW this recipe also freezes very well (the raw dough) and if you have left over Waffles, you can store them in a container in the fridge for 2-3 days and stick them in the toaster just before you eat them. Looks yum! 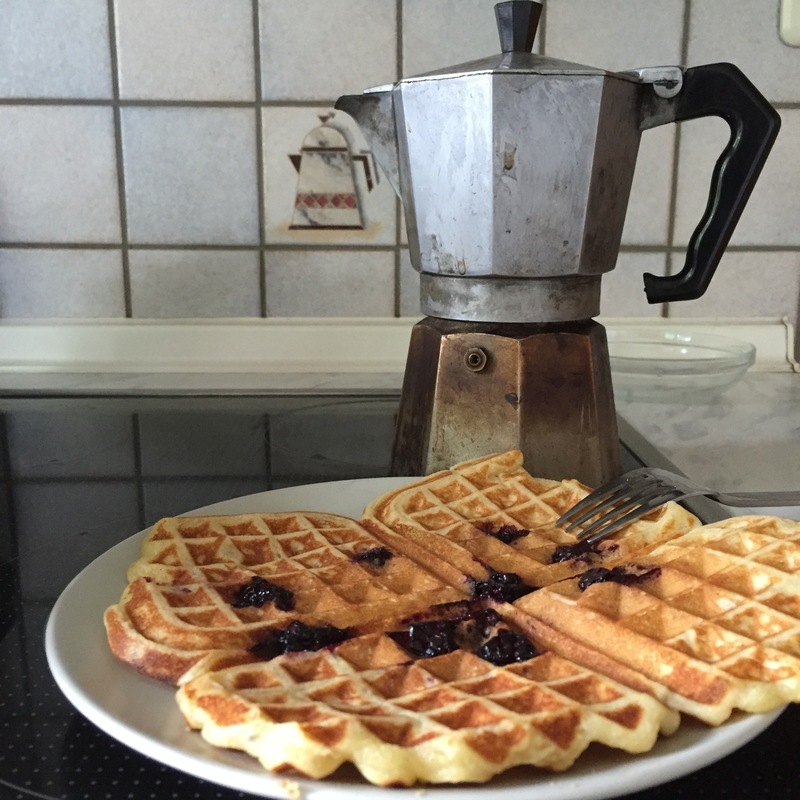 Thank you for posting the recipe! Love it when kids ask "questions"...it teaches us to be creative. Wonderful story and the waffles look delicious! I love waffles and the way you have incorporated blackberries into the batter reminds me of how my aunt used to cook up breakfast! just love it! Thanks for sharing. Neither had I, but I have since tried it with apples and bananas and they work great, too. The bananas can get a bit sticky, but all tasty!